Amsterdam is amazing. The city is absolutely breath-taking, clean, and quiet. With a population of roughly 700,000, relatively few cars scatter the streets bustling with bikes as far as the eye can see. While in Amsterdam for the day, we saw Dam Square, Reimbradtplein, the Red Light District, the Opera House, the canals of course, and Amsterdam Central Station. Aaron and I are embarking on a three and a half week journey across Western Europe. While we are traveling, we are using a site called couchsurfing.com to manage our stay in each city. Through this website, you meet people online and request to stay on their couches. Our host Enrico was an incredible first experience to the world of couchsurfing. We went around the whole city, laughed and shared stories of our lives, family, and friends. He helped us finalize some details for our journey in Italy and he even made us sandwiches for the road! All is well in Amsterdam. 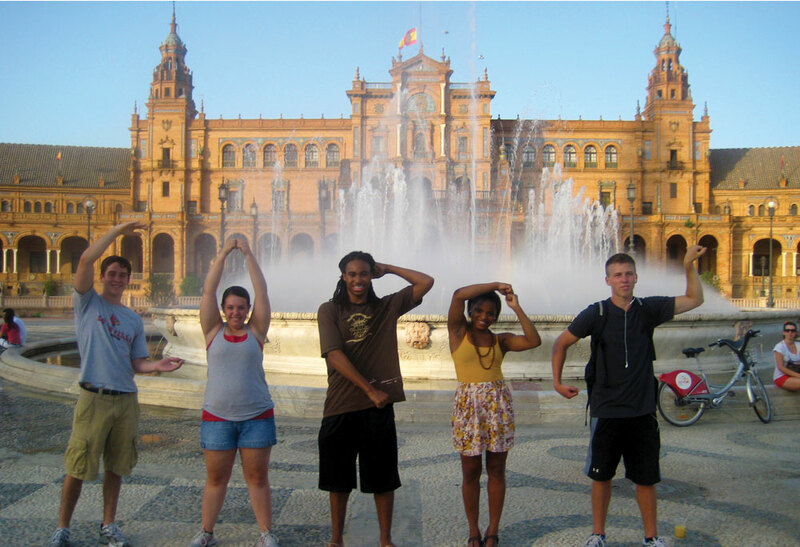 This entry was posted in Study Abroad by Paige. Bookmark the permalink. University of Louisville, College of Business Hometown: Louisville Major: Finance Age: 21 National Student Exchange: Univ. of South Florida, Tampa, FL. Spring 07. Study Abroad: The Hague University, The Netherlands. Fall 07.